We commit ourselves to persist and delight in reading, studying and meditating on the Scriptures. The resources listed here are suitable for leading a small group or Sunday School class or for studying on your own. Click on the blue titles below for either a downloadable document or a link. For more formal curricula, click here for adults and here for youth. ​Here is the method suggested by Keith Slater in the 2017 webinars for Central Plains, Practical Tips for Leading Bible Study. Six practical steps using a simplified inductive approach from In Dialogue with Scripture by Linda L. Grenz. Watch this video series featuring Meghan Good teaching all about the Bible: what it is, how it was formed, why we read it and how we interpret it. 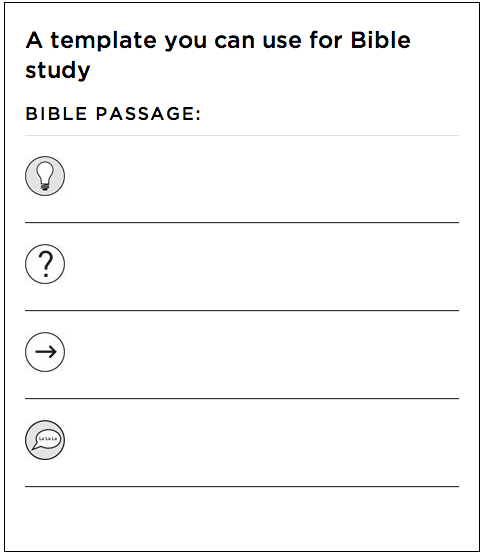 Don't miss the Bible reading guide. free videos and podcasts that present the Bible as "a unified narrative that leads to Jesus and has profound wisdom for the modern world." Do not miss this resource! In 2016, Central Plains conference hosted three webinars on reading and interpreting the Bible, taught by Meghan Good.